Learn at Your Own Pace. Join Our Optional Q&A Calls. Enrollment is Open Now. Raising Children to Love Themselves is a 6-part online course for modeling & guiding children to have a strong foundation of self-love. Learn life changing tools to teach children how to have strong self-love. Receive weekly digital packages with bite size teaching videos, proven tools & best practices. Join our Facebook group and receive support during our optional weekly live Q&A calls. For moms, dads, grandparents, guardians, teachers – anyone who has children or interacts with children who wants to guide them to love themselves, trust themselves, stay true to themselves, no matter what. Start immediately once you enroll with a special self-care package filled with fun, effective tools you can begin using right away! Then starting on Saturday, May 4th, you’ll receive a new class every week for 6 weeks. Live Q&A calls (optional) begin on Wednesday, May 9th. Raising Children to Love Themselves is online and consists of bite size teaching videos, workbooks, proven tools, best practices, live Q&A calls, and an online community. You can complete it online, at your own pace. Why does this course exist? Because children cannot thrive & flourish if they’re filled with self-doubt, over stressed, filled with negative self-talk, ignoring their intuition & suffering from body hate. They need tools & language to choose self-love. Successfully navigate today’s world — to grow strong from the inside out— so they can live their amazing potential while staying true to themselves and experiencing deep fulfillment and genuine happiness. Create a strong inner foundation of courage, compassion, clarity, and confidence that empower them to be healthy, resilient, and successful. “A lack of self-love is at the root of almost every challenge we face in our lives. Yet, many people don’t even know what self-love is and its impact on every aspect of our lives. If you are reading this invitation, I imagine you, like many people raising children right now, are trying to figure out how to best support your young, high-potential beings, as they navigate through an ever-changing and often crazy world. The truth is, our children cannot thrive and flourish in this crazy world if they are filled with self-doubt, disconnected from their hearts, over stressed, filled with negative self-talk, and suffering from body hate. There are 10 different kinds of self-love and your children need ALL of them to build a strong inner foundation. I think we all wish the world today were different, but the fact is that our children face pressures we never had to deal with. The impact of social media and the Internet, bullying and violence in schools, and academic and athletic stress to perform better have increased stress and anxiety in kids that once only appeared in middle-aged, hard-working professionals. These things have also increased peer pressure to alarming degrees. You’ve undoubtedly asked yourself how you can protect your children in today’s world — how you can arm them with what they need to choose what is truly in their best interest over self-sabotage, negative self-talk, and peer pressure. GROW into empowered, loving, compassionate, self-aware individuals? TRUST themselves and stay true to themselves, even if that means disappointing another, or doing things differently from others? KNOW who they are at their core, and their innate worth—not because of a grade or achievement, but because of who they are inside? TAKE CARE of and honor themselves, even if that means disappointing another? TRANSFORM negative self-talk, self-doubt, self-criticism, comparison, perfectionism, and anxiety that will surface inside them, no matter how sheltered we keep them, into self-loving thoughts that give them confidence and clear direction, no matter what they face in life? CHOOSE only respectful relationships, for their entire lives? and model self-love by the way we live our own life. We all know that our children watch what we do and listen to how we talk about ourselves. And no matter what we say they should or shouldn’t do, they imitate us. So when they hear us beating ourselves up over our weight, decisions, lack of success, etc., they learn how to talk to themselves (and beat themselves up) too. On the other hand, if you know how to model the kind of self-love, self-trust, self- compassion, self-care, self-empowerment, and self-esteem that form the basis for a strong inner foundation, your children will emulate that. The challenge: Most of us were not taught how to love ourselves, because our parents didn’t know. They didn’t teach us. In challenge, though, lies opportunity. Learn and use foundational self-love tools and self-love best practices you wish you received from your parents when you were younger. Discover how you can arm your children with the practical, tangible tools they can use to build and continually strengthen their self-love foundations—both by modeling the process of making self-loving choices, and by intentionally weaving self-love into conversations with your children in ways that are effective, fun, and simple. 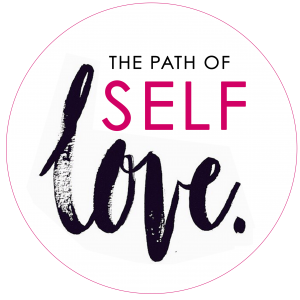 Receive access to proven self-love practices and tools from The Path of Self Love School, an organization whose programs have served over 35,000 people worldwide. It is one of the most powerful tools we have. This course doesn’t teach you how to parent. It guides you to model self-love and teach it to your children so they can stay true to themselves, trust themselves, and feel good about who they are, body, mind and spirit. In this course, you will learn how to guide your children to choose compassion over criticism, patience over perfectionism, and self-acceptance over comparison. Explore, model, & teach your children about the 6 foundations of self-love. Model and teach your children how to be kind, gentle, patient, and understand with themselves… and how to transform negative self-talk, self-bullying and the self sabotaging habits of self-doubt, comparison, and perfectionism into self-loving actions. We cannot always be with our children, so it’s essential that we model and teach them how to listen to and follow the guidance of their inner voice, believing they know what is right for them, even when other people think or say otherwise. Model how to choose self-care over self-neglect & self-sacrifice. Teach your children what it means to treat their bodies as sacred by accepting & caring for themselves (even when it’s hard to do). Teach your children how to ask for what they need. Model and teach your children how to make choices that respect and honor their body, mind, feelings. Receive tools to talk to them about only have loving, respectful relationships & standing up for themselves when they’re not being respected. Model and teach your children how to name, claim, embrace, and celebrate their unique gifts… and share them with the world. Teach them how to strengthen their confidence, be proud of who they are, and believe they are enough. Model and teach your children how to feel empowered to take charge of and be responsible for their own lives. Teach them how to know who they are at their core so they have the internal strength, confidence, and courage to stand in their power. I’m now more loving, compassionate, supportive, and confident towards myself and more loving towards others. – Gail Y.
I was able to change my negative self talk and perspectives into a more loving and respectful relationship with myself. It has improved my attitude & practices in so many ways! – Donna G.
Complete this 6-part course with a library of tools, practices & support, including: videos, handouts, worksheets, meditations, self-assessments… and more! Receive lifetime access to teaching videos, meditations, workbooks, proven tools and practical exercises to use with your children. Ask questions and get personal support during our weekly LIVE Q&A Calls with a certified self-love guide. Interact and be inspired by other people around the world who are choosing to teach their children self-love. Join us to connect, ask questions and get support. If you’d like extra support for personal feedback & accountability, sign up for a private 1:1 session with a certified self-love guide. Oh my gosh! The daily practices are so simple but have made a big change to how I approach my life. – Andrea R.
What’s taught at the Path of Self Love School needs to be in educational curriculum. It’s that powerful. I would have reduced massive amounts of my own suffering had I personally been armed with these tools & practices when I was younger. – Andrea G.
This course is offering by The Path of Self Love School, and taught by Stacey Hoffer. The Path of Self-Love School is a social impact organization whose programs focus on teaching adults and children how to create a strong inner foundation of courage, compassion, clarity, and confidence using the power of self-love. The School is committed to making the practice, path and tools of self love accessible to all people, so that within 3 generations we can create a world where all children are born connected to love and stay connected to love because they know how to source love from within. With over 35,000 students on six continents, the Path of Self Love School has for over a decade brought a new understanding and way of accessing, assessing, coaching, and teaching true self-love. Our tools and practices have been tested across age, race and socio-economic background and have been used in therapy, colleges, grade schools, prison systems, families, corporations, health and wellness practices as well as in traditional coaching, mentoring, and personal development. Stacey Hoffer is a director, faculty member, teacher, and certified self-love guide at The Path of Self-Love School. After earning her Masters in Leadership Development and working in Corporate America as a Training and Change Management Consultant, Stacey received her coaching certification from the International Coaching Academy and founded Soul Alignment Living. 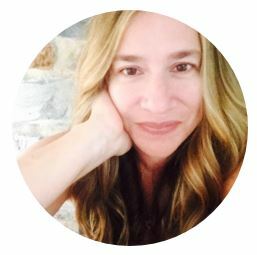 Through the Path of Self-Love and her own coaching programs and sacred circles, Stacey has guided hundreds of women to trust their inner wisdom, speak their truth, deepen their self-love, awaken their feminine wisdom, and live in more alignment with their heart and soul. She is a contributing author in the bestselling book “Inspiration for a Woman’s Soul: Choosing Happiness” and has been teaching her two children how to love themselves for the past 10 years. “With Stacey’s support and guidance, I feel more strength, alignment and clarity in my life.” – Jess D.
Working with Stacey has helped me grow my self love because she knows, practices and lives it. Stacey’s guidance helped me resolve my family challenges and show up more in a loving manner. And, I learned how to make myself a priority again without feeling guilty about it. – Martha J. “Stacey is a cocoon of comfort.” – Heather D.
“Stacey transforms people into butterflies.” – Jill M.
“While we all want to love ourselves, doing it on a daily basis can be challenging. Please know that it’s not your fault that it can be so hard. We weren’t taught how to love ourselves. It wasn’t modeled for us when we were kids. We were brought up learning we had to over give, over work, and over do to be valued – to “be enough”, which doesn’t lead to happiness and true success. I founded The Path of Self Love School and Stacey Hoffer is teaching this transformational course to make loving yourself and teaching your children to love themselves tangible and fun! You are invited to join Raising Children to Love Themselves – to model and guide your children to love themselves. 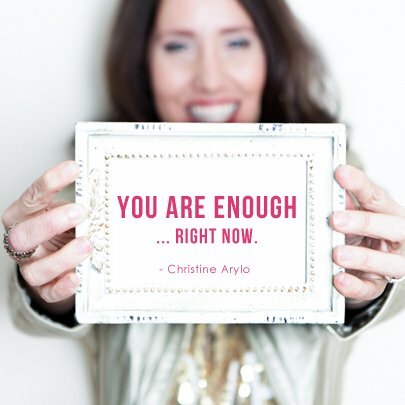 We’d LOVE to have you!” – Christine Arylo, Founder of The Path of Self Love School. Christine Arylo not only makes loving yourself possible, she makes self-love fun. When it comes to bringing more love into your life – whether that’s you becoming your own best friend or receiving love from others – Christine Arylo is one of the best. Christine Arylo turns the elusive task of learning to love yourself into a concrete, how-to-doable path that anyone can master. Who is this course for? 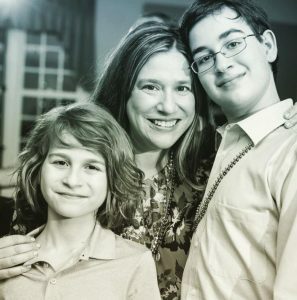 This course is for moms, dads, grandparents, guardians, teachers, aunts, uncles, godparents, big sisters and brothers – anyone who would like to know more about how to guide the children in their lives to love themselves, trust themselves, stay true to themselves, and feel good about who they are, body, mind and spirit. What day and time are the optional live Q&A calls? The live Q&A calls for Raising Children to Love Themselves are on Wednesdays. We will alternate between 9am PT and 5pm PT. What is the cancellation policy? We hope you will love this course which gives you lifetime access to all of the materials. You can cancel within the first 10 days of purchase by emailing cancel@chooseselflove.com and you will be refunded the full amount minus a 10% handling fee. If after 10 days you decide to cancel, your tuition will not be refunded but you can choose to stop receiving communications or transfer the class to another person by emailing our customer care team at cancel@chooseselflove.com. More Questions? Reach out to Stacey Hoffer, at stacey@pathofselflove.org.